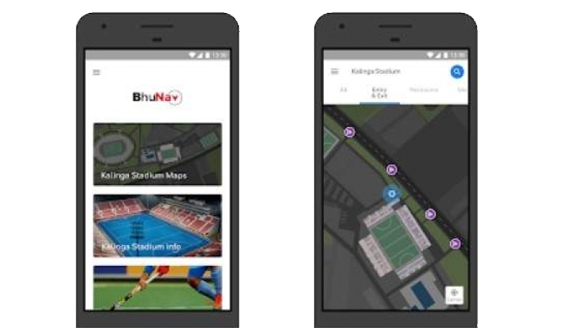 The mobile app called 'BhuNav' has been launched for the enthusiastic hockey fans by Bhubaneswar Smart City Ltd (BSCL) to provide directions to various places inside the stadium, presently only hockey complex, during the ongoing Men's Hockey World Cup. IT major - Honeywell, which is a stakeholder for creating IT infrastructure across the city, has developed the app for BSCL and Hockey Federation of India. The app has a built-in navigation system similar to Google Maps to help users find points of interest or people in the complex. However, 'BhuNav' is different from the traditional navigational services as it not only shows directions but also helps one to navigate between multiple floors.